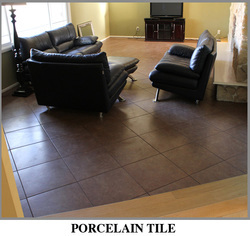 Porcelain Tile Flooring is constructed with color that runs throughout the entire Tile, from top to bottom, making it a “full-bodied” Tile with brilliant depth and character. Ceramic tile is a practical, functional choice for your floor that offers you a unique opportunity for self-expression because of its beauty, flexibility and design potential. What could be better than a beautiful floor that gives you the best features of two great flooring options? 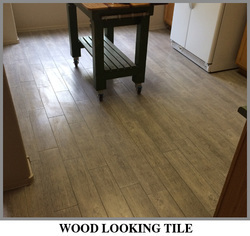 Wood-look tiles offer the picture-perfect look of natural hardwood flooring, plus the ease of maintenance and durability of tile.